The dusty streets of Honiara are bustling. Once ravaged by militia fighting, 14 years of peacekeeping by the Regional Assistance Mission to Solomon Islands now sees men, women and children at markets, schools and shops, confident and free. But the future of the vast archipelago of rainforest-covered islands to Australia’s northeast is still work in progress. Long term peace and stability after the 'Tensions' (1998-2003) depends on addressing the causes and grievances of the conflict, and making headway on equitable development for urban and rural islanders. According to the Pacific Islands Forum, hardship and unemployment remain high in the country and 'strong resource-led growth is failing to trickle down to the disadvantaged’. Landowner grievances, compromised governance and acrimonious competition for land and resources were key triggers of the violence that erupted in Guadalcanal Province in the late 1990s. So tackling land disputes, corruption and management of the country's natural resource wealth is at the core of ensuring sustainable peace. Natural resource management will be in the spotlight after the government in Honiara recently identified the exploitation of mineral resources - still relatively under-developed in Solomon Islands - as one avenue to boosting post-conflict economic recovery. At the same time, plans are underway to reopen the Gold Ridge mine by the end of 2018. The mine, a drive of less than an hour from Honiara across the flat, sun-baked Guadalcanal Plains, through farming villages and miles of oil palm plantations, has stood dormant for the past three years. The extraction of gold began here in 1998, but a succession of foreign owners and intermittent periods of closure due to civil unrest and environmental problems has left a troubled legacy. In nearby villages there are diverse views on the mine’s future, but predominantly people want to see greater local ownership. The next phase of the mine’s life offers a window of potential. After Cyclone Ita and torrential rain damaged infrastructure and forced the mine to shutdown in 2014, its Australian owner, Santa Barbara, sold the venture and its legal liability a year later to Gold Ridge Community Investment Ltd, a local landowner company for AU$100. Walton Naezon, chairman of the what is now a landowner-led joint venture, Gold Ridge Mining Ltd, is adamant that a more inclusive and visionary corporate structure is in the making. The aim is to embrace corporate responsibility through increased operational and environmental transparency. This will allow local participation in decisions and better relations and communication with stakeholders, especially communities. Local landowners hold a 30% stake in the company, Naezon said, and representatives of communities surrounding the mine, where up to 5,000 people live, conduct environmental monitoring. Water samples are taken in nearby rivers and community monitors oversee the results. The representatives have participated in key company decisions, including the agreement outlining the benefits communities will receive from the mine. They have also joined in the appointment of an independent environmental consultant. Local students are invited to visit the tailings dam to learn about the water treatment process and witness the release of treated water. Yet the story of the dramatic decline of the nation’s logging industry, which at one time accounted for 60% of export earnings, stands as a warning of the obstacles ahead. Half a century of rampant timber extraction saw in excess of four times the sustainable rate of 250,000 cubic metres per year. 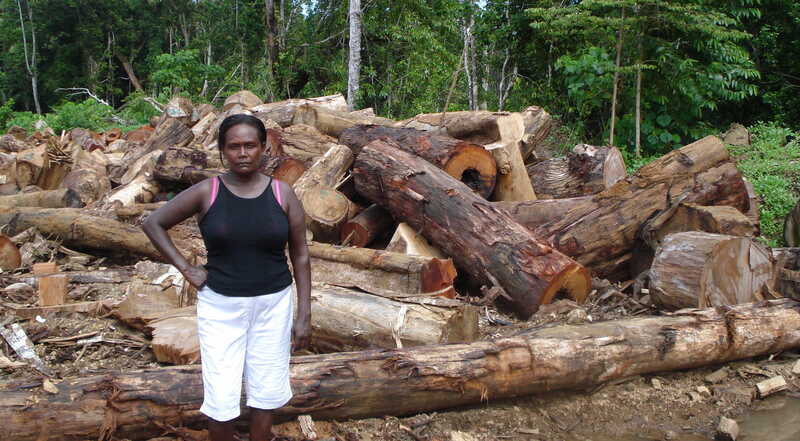 Transparency Solomon Islands has claimed it ‘regularly hears stories of politicians using their power to protect loggers, influencing police and giving tax exemptions to foreign businesses, in return loggers fund politicians’. The reopening of the Gold Ridge mine is important for economic growth, said a spokesperson for the Ministry of Mines, Energy and Rural Electrification. A significant drop in national revenue followed the closure in 2014 and the start of two bauxite mines in West Rennell province the following year. But the risks remain. Graham Baines pointed out in a paper published by the Australian National University that ‘should mining be forced while governance of the mineral sector remains weak and uncertain, corruption is rife and villagers are ill-informed and uncertain, the rural population could become a potent source of dissent and obstruction’. 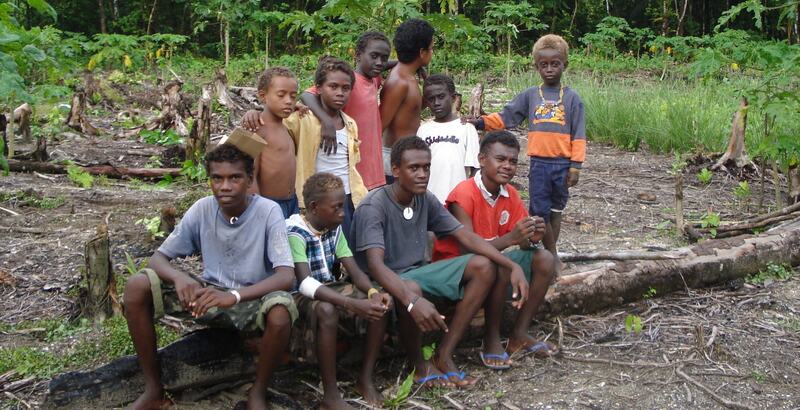 This was especially a danger in Melanesia, Baines said, where violence and mining seem to be partners. Yet conflict is not the inevitable consequences of natural resource development in fragile settings. A recent report by Chatham House in London claims the outcomes depend on behaviour - by politicians, bureaucrats, companies and community representatives. The Solomon Islands government has recently launched the National Minerals Policy (2017-2021), providing a legal framework for improving regulatory authority, industry scrutiny and revenue accountability. It also requires landowners and communities are party to consultations and can access legal advice. Awareness training is especially critical for those landowners who lack substantial understanding of the mining industry, their legal rights or the consequences of their decisions. It is still early days. The government, working with the World Bank, is only beginning to implement the new policy. But the Gold Ridge mine will be a case to watch as not only Solomon Islands, but the Pacific islands region, grapples with how to take natural resource extraction out of the hands of elites and avoid the trap of conflict.